Samsung is making it easy for iPhone users to ditch their Apple handsets in favour of picking up a Samsung Galaxy device. The smartphone manufacturer will exclusively offer the free Easy Phone Sync app to anyone who buys a handset in its Galaxy range. Easy Phone Sync allows you to transfer iTunes music, videos, podcasts, pictures, contacts and text messages from an iPhone to an Android handset – although this app is only available on Samsung handsets. Samsung has realised it's difficult to tempt iPhone users away from iOS, with Simon Stanford, VP of Telecommunications and Networks for Samsung UK, saying: "We know that traditionally iPhone users have been reluctant to switch to an Android device because they couldn't use iTunes to manage their content. "Easy Phone Sync means people can now enjoy their iTunes content on a Samsung Galaxy phone." 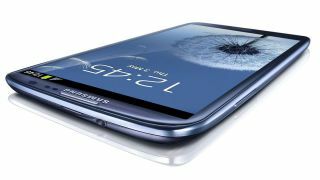 Samsung is attempting to get iPhone users to switch to the Galaxy S3 before Apple announces the iPhone 5 later this year – which will see the majority of iPhone users stick with the iOS platform and handsets.